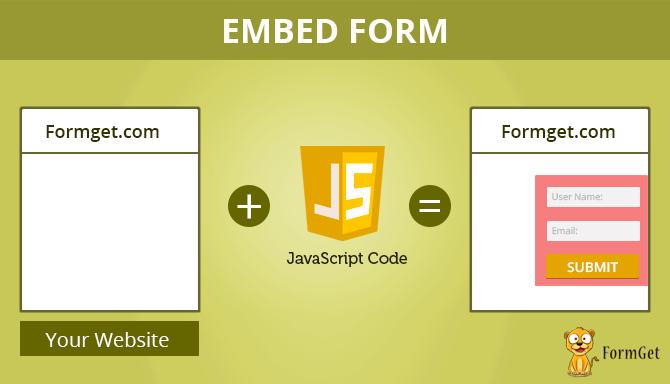 Embedding a form is a synonym of ‘adding a form’. Create a form which is user-friendly has been the prime objective for FormGet developers. After creating a form, you can add form to website, web page or anywhere you like. That’s why adding a form is very easy in and there are multiple ways in which you can embed a form on your website by using FormGet. Embed form with design including Header & Footer. Add full form, plain form, sliding form, contact form to website. Add form as tabbed Widget. Embedding any type of form just requires copy-pasting a simple script from the FormGet dashboard and paste it into your website.